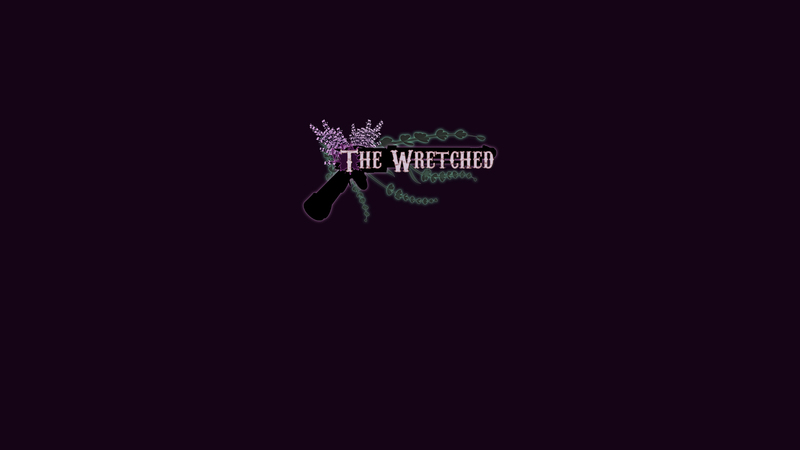 We have been working on The Wretched for over a year now and we are just about ready to show off some gameplay. Videos will surely be coming but we think VR is something you just can’t understand without playing. That is why we will be releasing a tech demo that will showcase the first section of the game including the first boss. All of this is in preparation for our Kickstarter campaign that will be kicking off in early fall. Look for the tech demo to drop in late August early September. The purpose of the tech demo is two folds: We want to get you guys excited about The Wretched but we also want to get your feedback and suggestions to make this the best VR experience possible. Oh and if you are still not on the VR train we may have a surprise for you too. 😛 like and subscribe to our Facebook for the current updates! We’re starting to reveal some of the nitty gritty about the gameplay mechanics in The Wretched. We will be doing some short videos that will introduce things like the different tools, locomotion, and more. All of this is to gear up for our Kickstarter probably sometime in late summer. Yep, we need money just like all the other poor saps out there. (Energy drinks aren’t cheap!) For now, make sure you check out the FAQ section as we have expanded and revamped it. Been a long time since we’ve said anything, but don’t worry, we are still working hard! We’ve had a fair share of setbacks but we’ve also added a new artist to the team. She is brewing up all the bosses and creepy things. So whats ahead? Right now the plan is to have a small semi-polished section of the game ready for the public around June. About the same time, we will be initiating our Kickstarter campaign. This means we will finally start to openly share features about the game. So, we will have more frequent updates over the next couple months. StarFinger = The best candy bar in the known universe (but in the unknown universe I guess there could be better). It equals one unit. Cowboy Marshmallow = A cereal treat for buckaroos of any age, which equals two units. Curry = My personal favorite, as well as Jude’s. Equals four units. SpacePaste = In case you hate the taste of food but also want to eat something nutritious and filling, equals three units. There’s honestly still so much to decide when it comes to food in The Wretched, but I do know the boys are having fun coming up with ideas. I’m excited to see what they dream up next. If you are too then keep checking back for more updates and let us know what you’re most looking forward to, or hopeful for, with The Wretched VR. The last couple weeks started really slow. (Thanks to those bugs.) However, the wall was overcome and now we are moving even faster than before. We have spent a long while perfecting the games main weapon, Jude’s Revolver. It is almost like a character to us. We will have a video soon of it in action but for now, take a look at the third and hopefully the last iteration of this awesome weapon. It still has some work to be done on it as obviously the textures and handle aren’t finished, but so far that version only took 5 hours of work. Not too shabby! Sometimes when I am testing in VR I get distracted. Usually, that means I dance to whatever happens to be playing. I was going to post a video of our gun shooting, but that will come later. Instead, watch as I go from furious at a bug, to dancing, then back to furious as I find another unrelated bug. We’ve been busy with modeling and texturing art assets. Most of our game systems are at least roughly coded and in place, minus some big ones like enemy AI. However, we are planning on releasing a very small playable tech demo in the following weeks. We’ll also be posting the main characters with short bios, starting with Jude! Hello world, Let me introduce you to a guy named Jude. He just wants to make some fast cash by delivering some cattle halfway across the galaxy. What could possibly go wrong?